This installation is clear proof that the addition of a Home Cinema system can be almost invisible with a well considered design. A Panasonic V Series television was specified for its clean lines and superior picture quality. 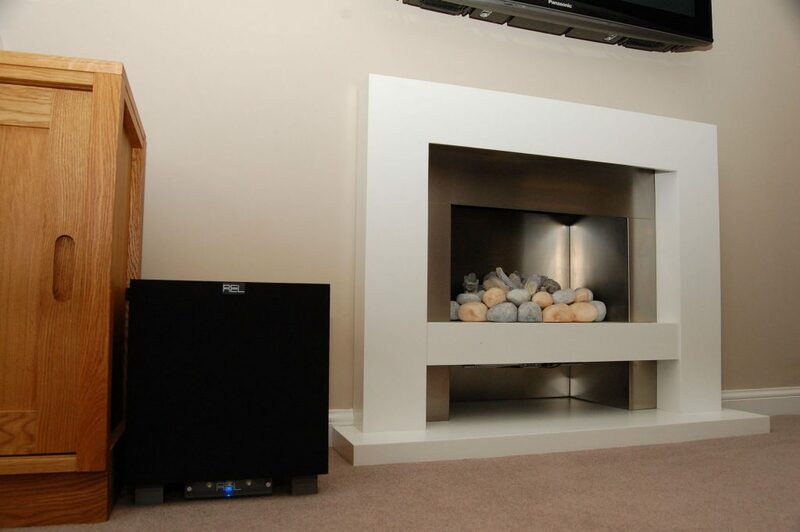 Slimline Marantz electronics and REL Subwoofer were chosen alongside a Sky HD Receiver to provide the entertainment. 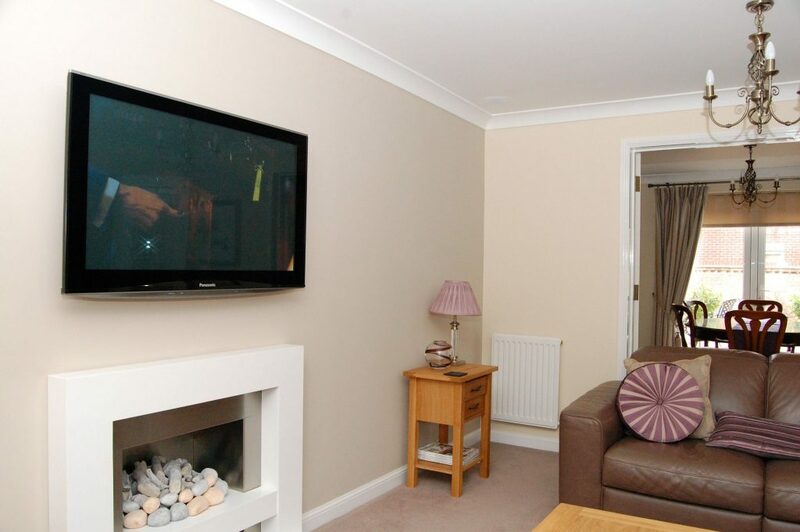 Additional technology has been included enabling a computer from another room to be viewed and operated from the lounge, allowing the owner to keep a watchful eye on the younger family members! 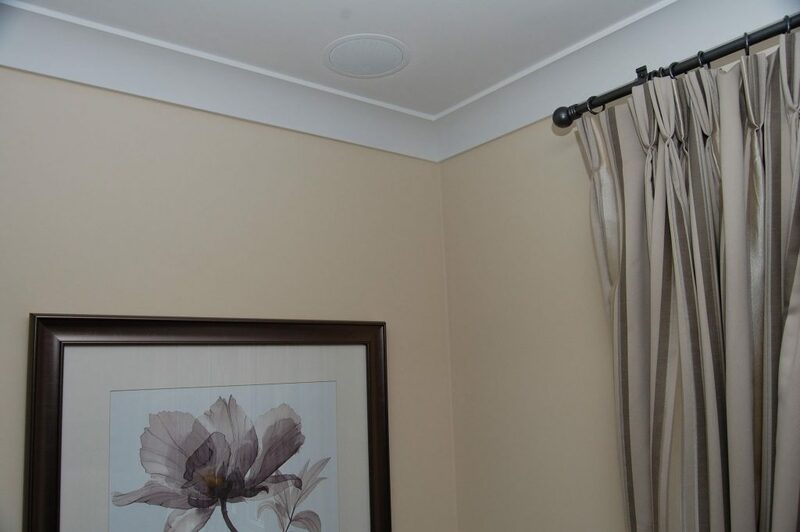 KEF Audio in-ceiling speakers were installed into the newly fitted ceiling for the ultimate discrete speaker system. Speaker cabling was placed around the perimeter of the ceiling prior to the fitment of new coving and down to floor level for connection to the Marantz AV Receiver. 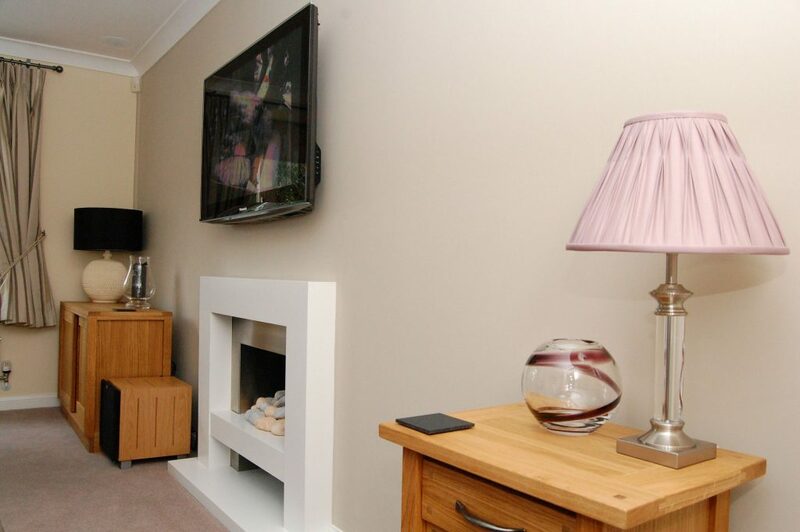 The installation of a new fireplace was inspired by another one of our bespoke installations.